The only way character resets would acceptable is if you kept everything but was able to just remake your character. Just how creating a second character in GTAO works. Or give the option to change appearance for a reason price like $50 or 1 gold. really curious to hear what it is exactly R* "can't announce just yet"
really curious tp hear what it is exactly R* "can't announce just yet"
That's a hell of a leap. By that logic, any time a developer teases content they aren't ready to fully reveal yet they're in legal troubles or are useless. More like they simply don't want to blow their load and reveal/announce content that's still in active development, cause things could still change. ^oh, official word from "jason"
you mean like back in the days when R* announced DLC for GTA V which didn't happen?! I just don't see how a company chock full of veteran developers who just released one of the best single player campaigns of all time a few months a go is suddenly useless because they don't have "The Benz". I don't see how these "legal issues" would in any way shape or form have an impact on the development of RDR2 or RDO. But if you want to fill in the blanks for me go ahead. Legal documents detailing one side of the story 5+ years ago are no bueno these days, though. talking about that "pinkerton" problem! Ah, and that would cause problems for RDO development why? I may be wrong, but I don't recall seeing the Pinkertons in RDO. or perhaps they had to scratch any missions involving them. Think it's unlikely personally, they wouldn't make make much sense in RDO for me. You're probably right tbh, but with R* you just never know. But I do think that there will be a parody of the Pinkertons or a snide reference to them. The parodied Hilary Clinton even after the whole "Hot Coffee" incident. Yea there could be references in future content but if we're talking, to get back to the topic that started this, that the Pinkerton legal issue would delay content or otherwise impede them from talking about it then they could simply remove those references ezpz. 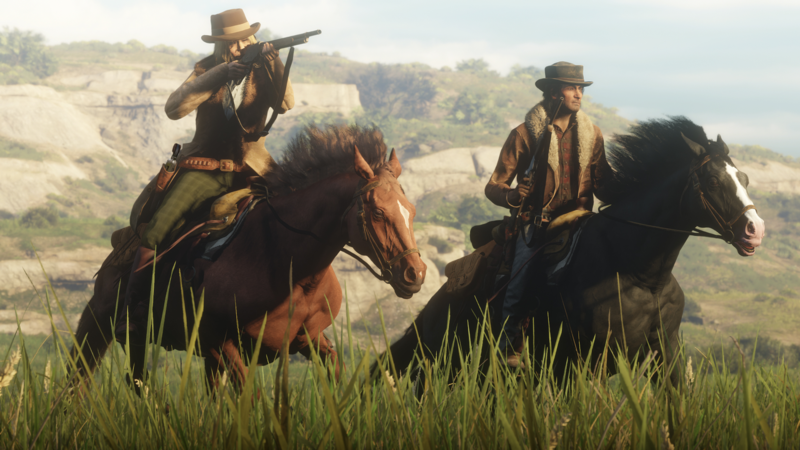 The Pinkertons could work in select missions I guess, I think having them as a general presence in the open world would be a bit too much, I mean they're in the SP cause they're hired to chase down an infamous gang of outlaws, something which you aint in RDO. Maybe if they add heists or something like that they could work, a Pinkerton guarded bank or something. The coming months? How long is Rockstar planning on keeping Red Dead Online in beta? Pinkerton's are in a online mission already, forget the name but it's a low honor mission where you stop a Pinkerton guarded train and ride it in to the Cornwall tar company. I think that might be the name of the mission. I wonder if we'll get another Newswire "update" this Friday, with it being two weeks since this latest Newswire was posted. Or whether we're basically waiting for a title update announcement now. I wish we got a patch this week. Is it too much to hope for? While the game still has the beta tag I can't help but think it would make much more sense for R* to introduce the QoL features one by one to ensure that they work as intended. But it looks as though, in true R* style, everything we know about will get thrown into the game at exactly the same time while R* (and us players) hope everything works in unison. There's a whole online story mission involving them, so they would have to cut that too if this ends up being the case. From what I've seen, the Pinkerton case seems pretty flimsy. 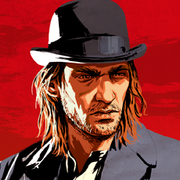 R* has good lawyers, just ask Jack(off) Thompson, Hilldawg Clinton, and Lindsay Lohan... As for my opinion, despite being antagonists in the lore of RDR, they are still portrayed accurately from what I can tell, and are just one of many period accurate elements R* chose to incorporate into their story. The only leg the Pinkies even have to stand on, is that R* may have used the names of actual Pinkerton detectives. Even that is flimsy, its something descendants could use, but not the Pinkertons as an organization. 25% off all tonics in catalogue. I refuse to buy 'em. They are a $ money sink. The only tonics I ever buy are horse revivers, always keep two on me at all times. Strawberry Welcome Center, there's always one in a chest in one of the bedrooms. I pick one up every time I'm in town. I think I'll just make my own. There's special horse reviver. Lol. Strawberry is the town I visit most, there's hardly ever anyone there in the lobbies I've found myself in. same, but this is mostly true in my experience playing during the weekdays or weeknights instead of the weekend. Overall Strawberry is not as popular as Valentine and Blackwater.